China: Beijing: Walking the avenue outside our hotel (Tianlun Dynasty Hotel) I take in street scenes: an old man with a chair, a cloth, and a pair of scissors — haircuts given al fresco! 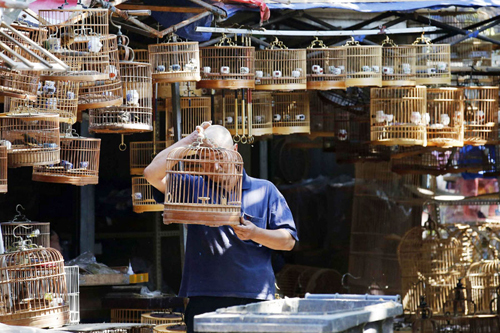 A short distance away, a man selling birds from a birdcage to passersby who promptly release them into the air. As I watch, I see the freed birds return to the seller, to be sold again and again as the day goes on. 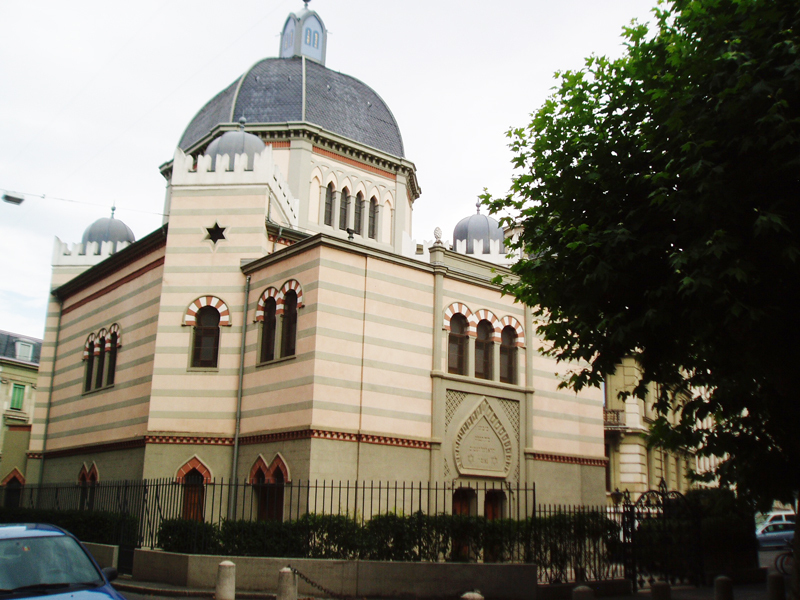 Switzerland: Geneva: While walking around town we noted a synagogue that had intriguing architecture — it almost looked like a mosque. Circular in construction, we walked around the building but could find no access. As we walked, we came upon a couple who seemed to be heading there as well. They told us that it was closed but that it would be open the following day for a funeral for Still intrigued as to what it may look like on the inside, we decided to come back during the funeral. 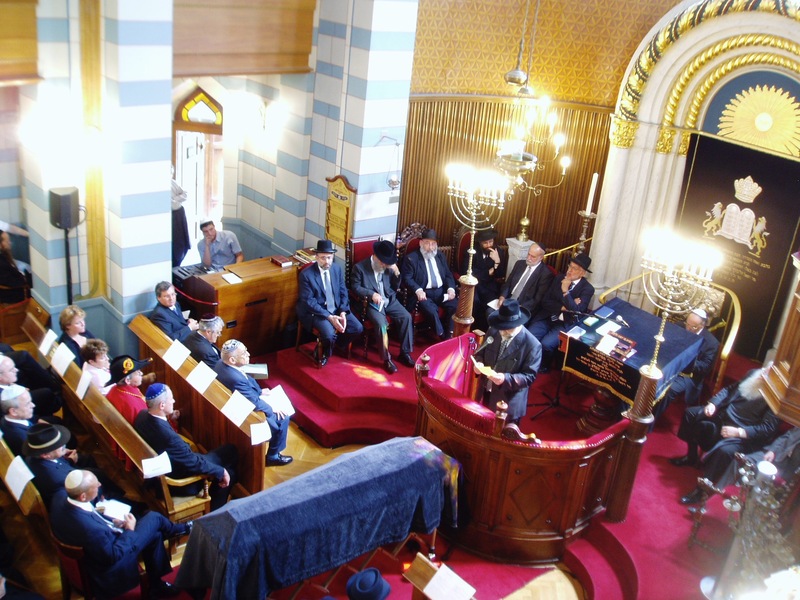 We were in for a complete surprise: the funeral was for the Dr. Alexandre Safran, head rabbi of Geneva and the place was packed with Swiss notables, both religious and political. We both had to sit up in the balcony, which was fortunate because it gave us the opportunity to take a few unobtrusive photographs of the proceedings. Several speeches were given in tribute to the rabbi and we felt rather privileged to have stumbled in on this special occasion. Cornelia wrote about the event in ART TIMES (http://bit.ly/2qKxCr3) when we returned home and, shortly thereafter, she received an email from the rabbi’s son, both thanking her for the article and requesting that she send copies of the photos she had taken. What a strange world in its mysterious interconnections! You are currently browsing the Raymond J. Steiner's Blog blog archives for May, 2017.